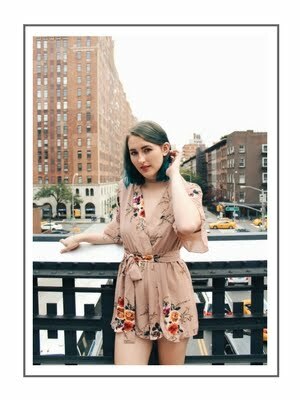 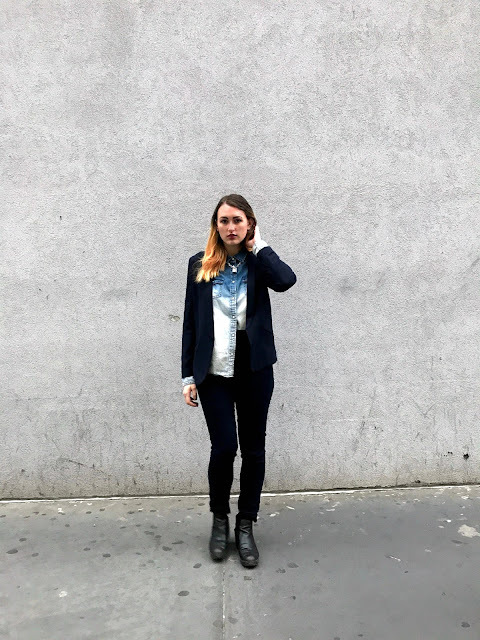 I've worn this outfit so many times (thanks for the life inspo, Lizzie McGuire!) 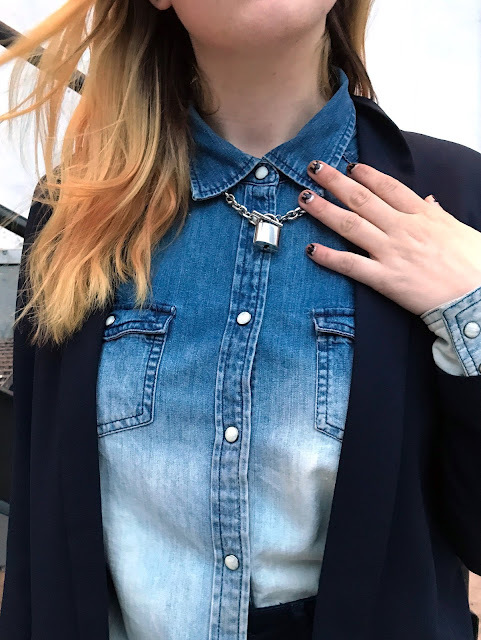 that one of my friends at work and I have actually matched our denim-on-denim looks TWICE in the last four months. 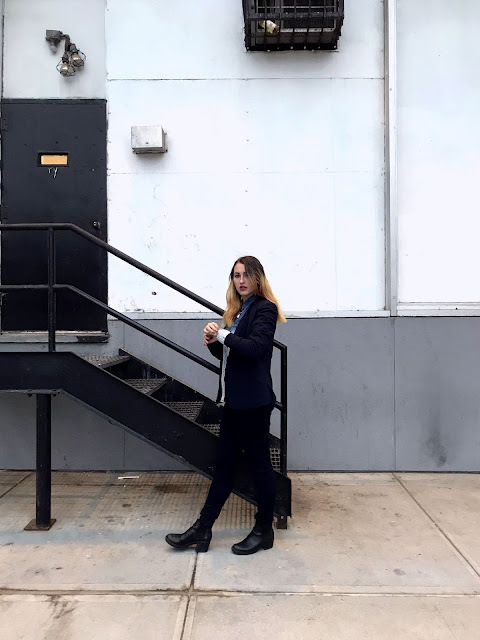 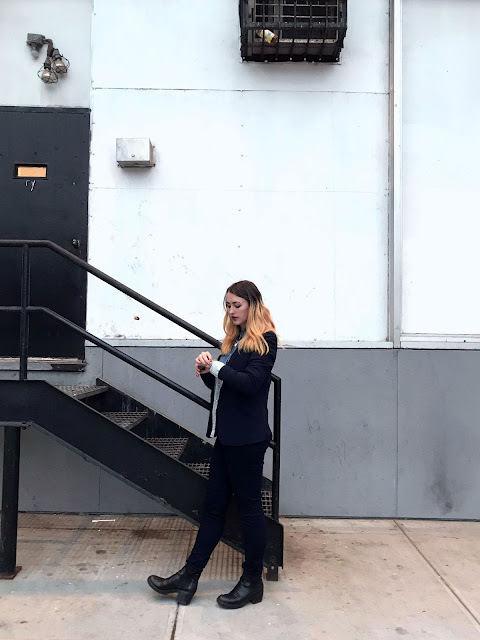 Recently, I switched it up by doing this half-tuck thing and adding a blazer to the look. 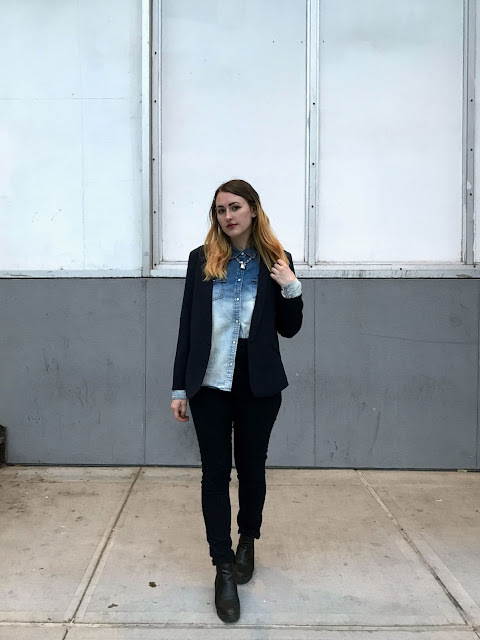 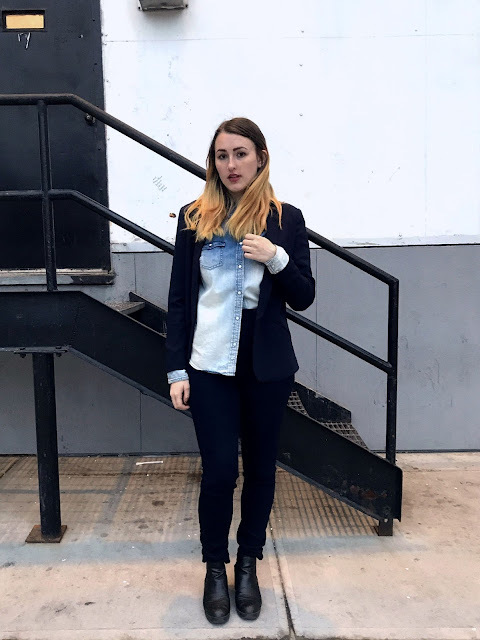 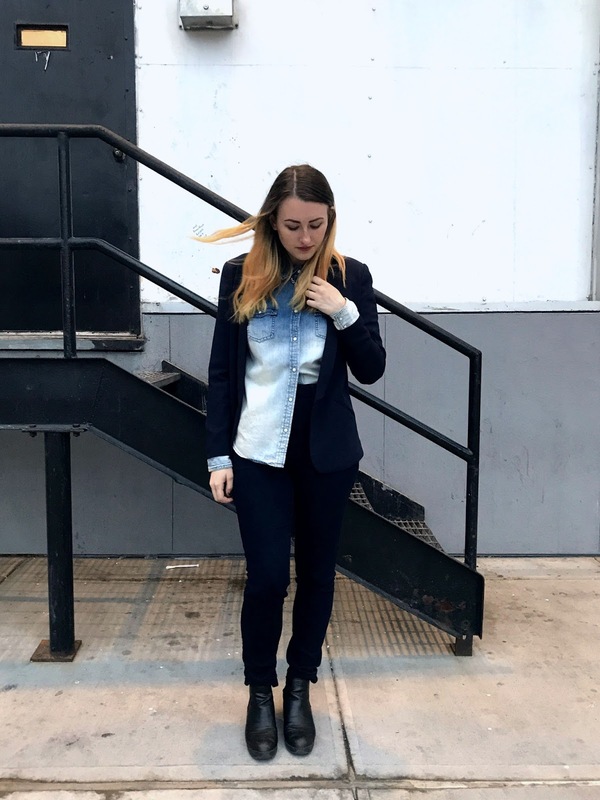 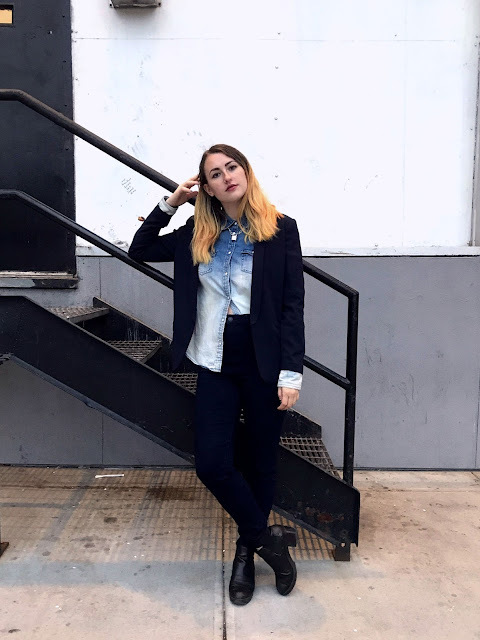 I thoroughly believe that a blazer and jeans make for the best business casual outfit.